Here, for the first time in English, is celebrated French classicist Jacques Jouanna's magisterial account of the life and work of Sophocles. Exhaustive and authoritative, this acclaimed book combines biography and detailed studies of Sophocles' plays, all set in the rich context of classical Greek tragedy and the political, social, religious, and cultural world of Athens's greatest age, the fifth century. Sophocles was the commanding figure of his day. The author of Oedipus Rex and Antigone, he was not only the leading dramatist but also a distinguished politician, military commander, and religious figure. And yet the evidence about his life has, until now, been fragmentary. Reconstructing a lost literary world, Jouanna has finally assembled all the available information, culled from inscriptions, archaeological evidence, and later sources. 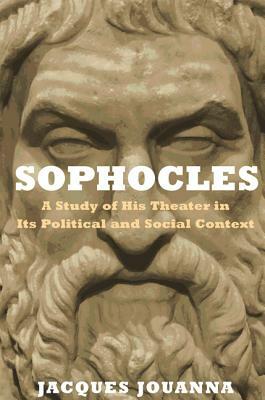 He also offers a huge range of new interpretations, from his emphasis on the significance of Sophocles' political and military offices (previously often seen as honorary) to his analysis of Sophocles' plays in the mythic and literary context of fifth-century drama. Written for scholars, students, and general readers, this book will interest anyone who wants to know more about Greek drama in general and Sophocles in particular. With an extensive bibliography and useful summaries not only of Sophocles' extant plays but also, uniquely, of the fragments of plays that have been partially lost, it will be a standard reference in classical studies for years to come.